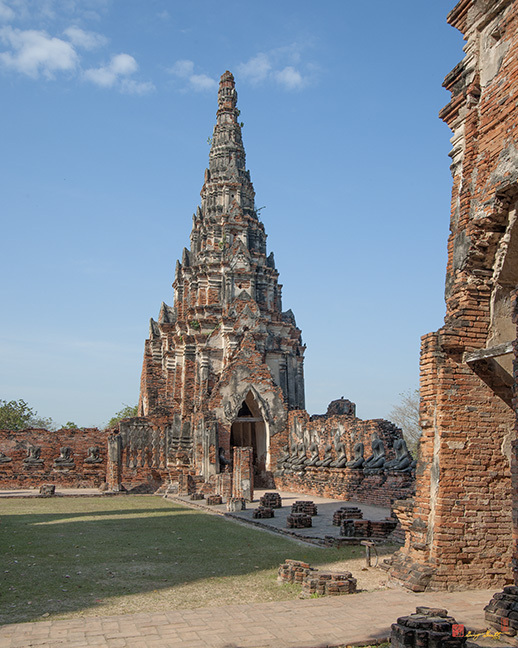 Wat Chaiwatthanaram, วัดไชยวัฒนาราม, is one of the most imposing of ancient Buddhist monasteries. 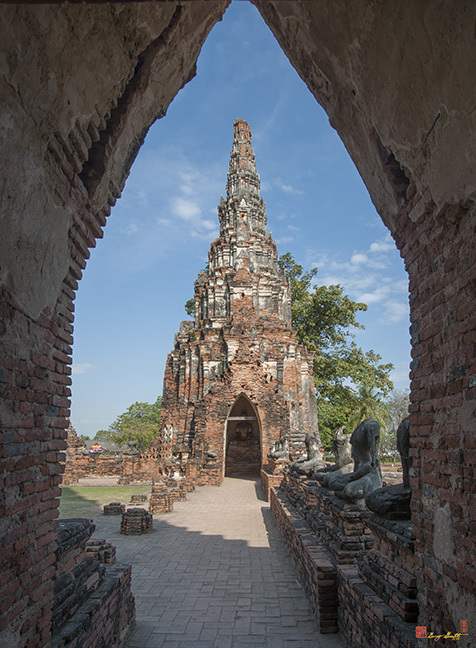 It was established at the command of King Prasatthong in 1630 A.D. and is believed to be located on the site of his former home. 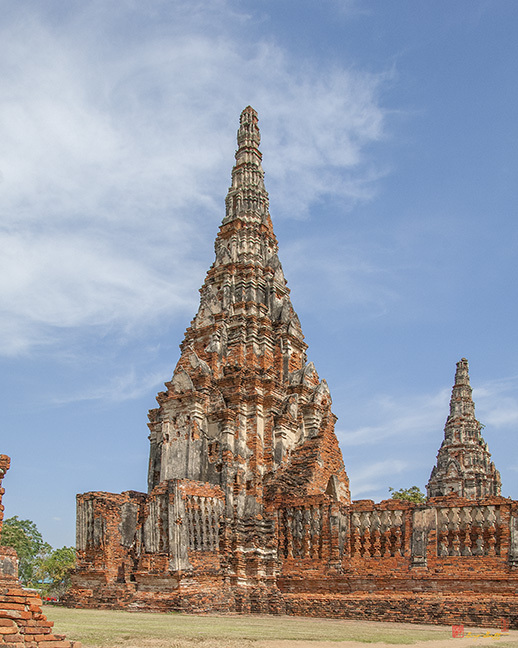 It may have been built to make merit for the king's mother, although it has been noted that the architecture of this wat is similar to that of Angkor Wat and it is possible that Chaiwatthanaram was built to commemorate the King's victory over Cambodia. 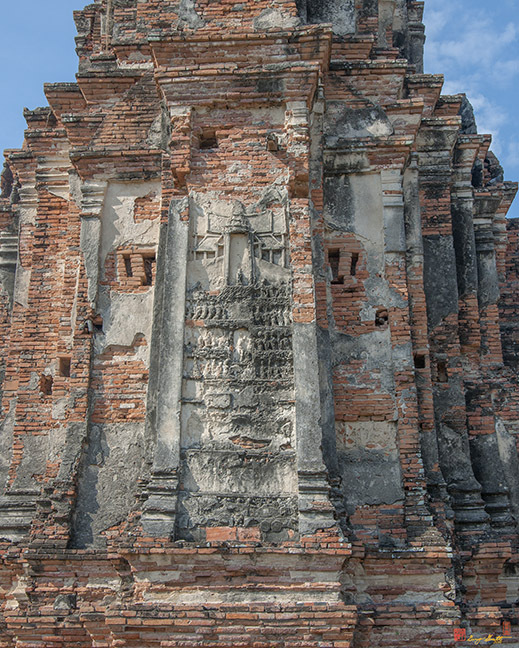 The wat consists of a main prang (Khmer-type tower) and four lesser prangs built on the same base, all surrounded by eight lesser prangs and a gallery. 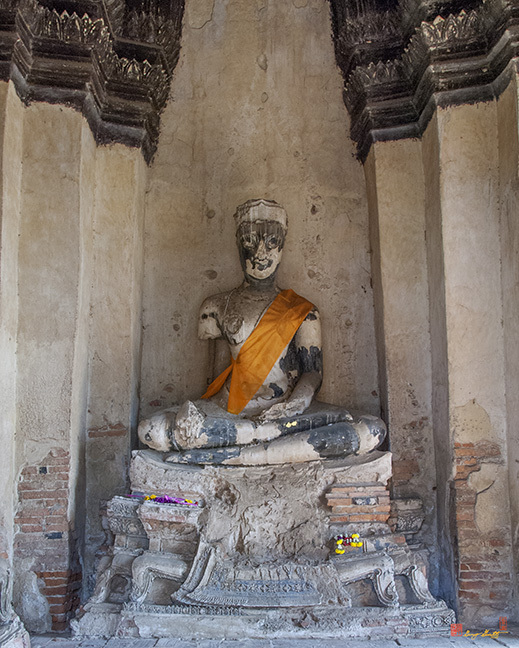 One hundred twenty gilt lacquered Buddha images in the attitude of maravijaya, or Victory over Mara, the Evil One, were placed in the gallery. 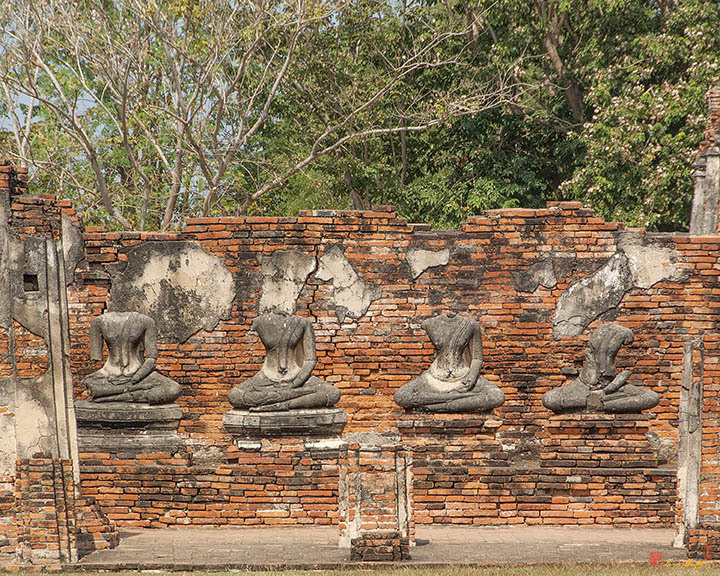 Twelve crowned Buddha images were placed within the eight lesser prangs. 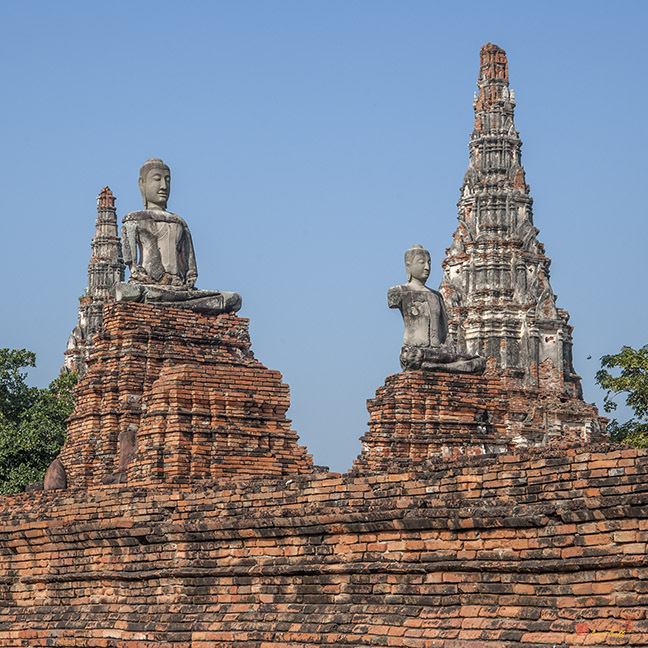 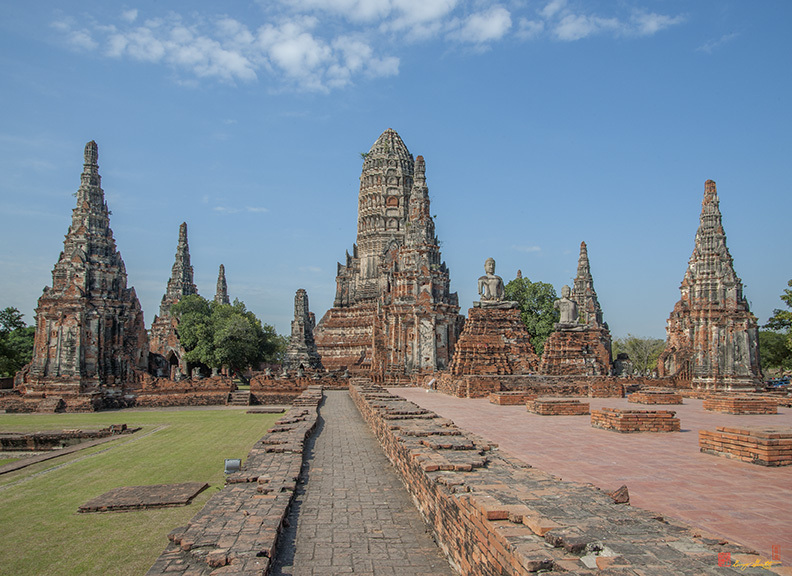 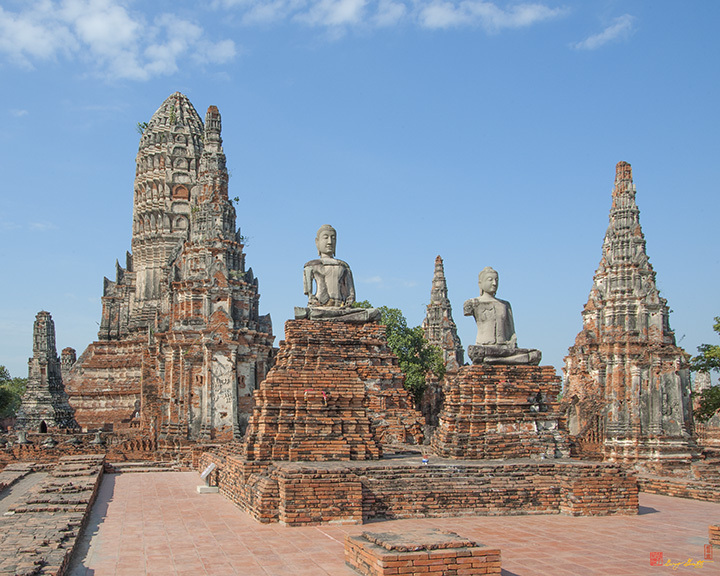 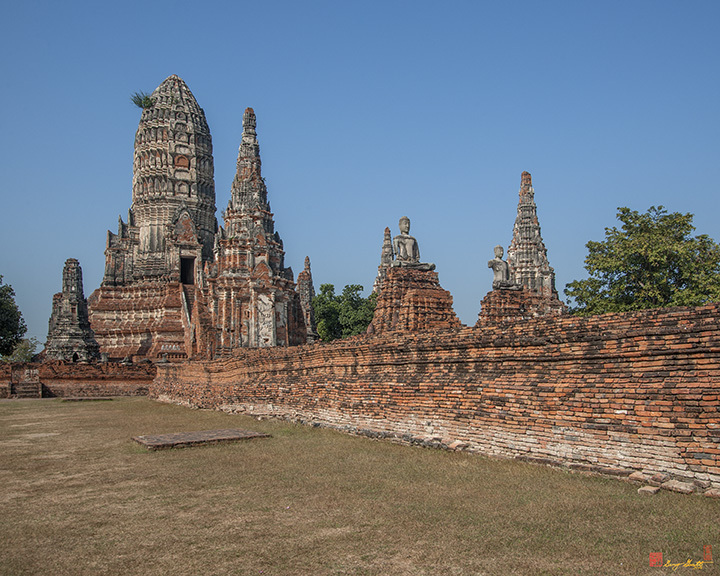 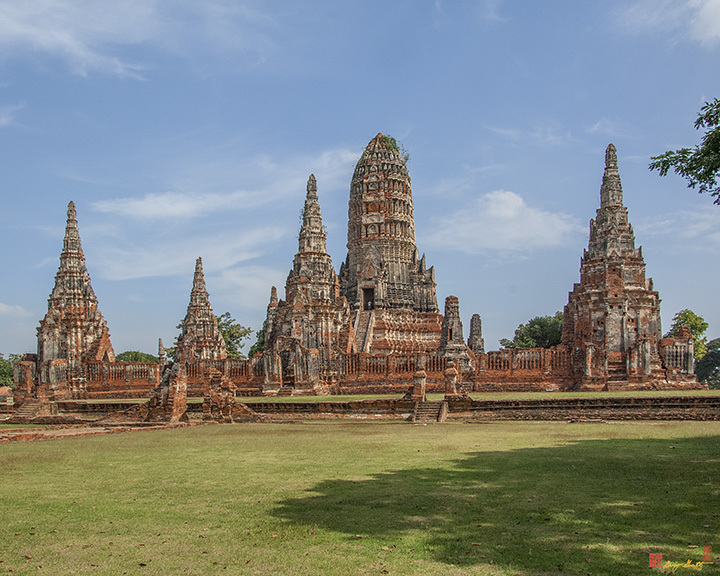 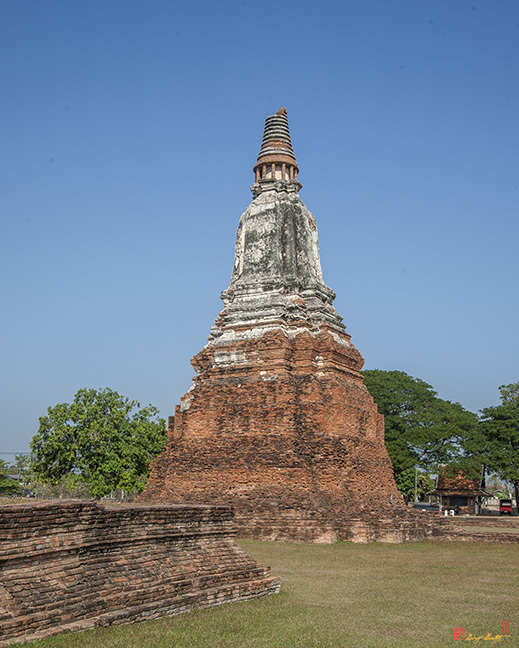 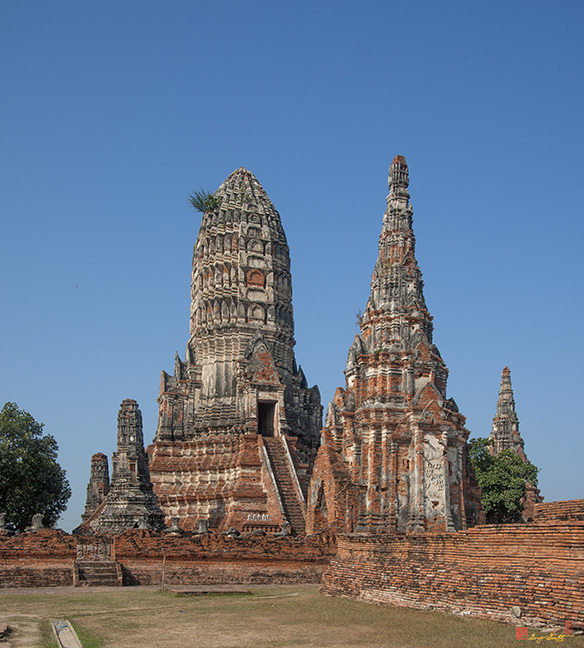 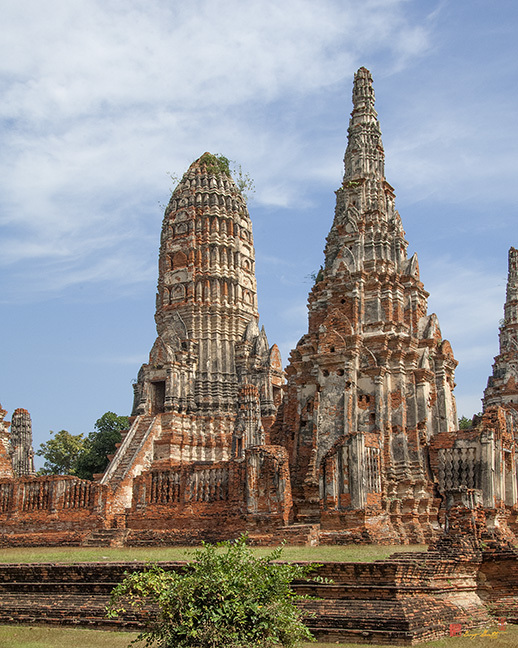 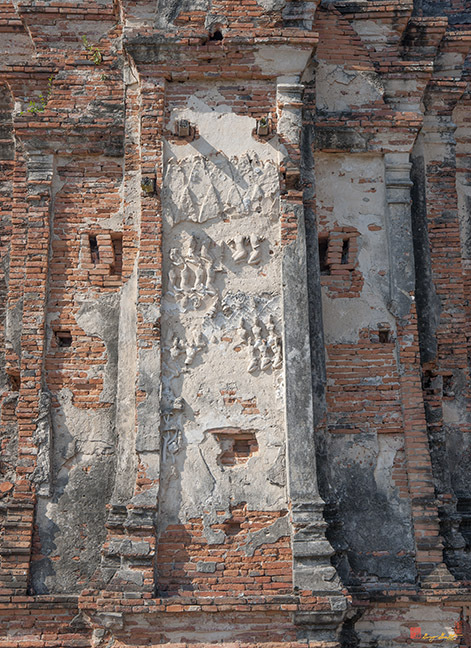 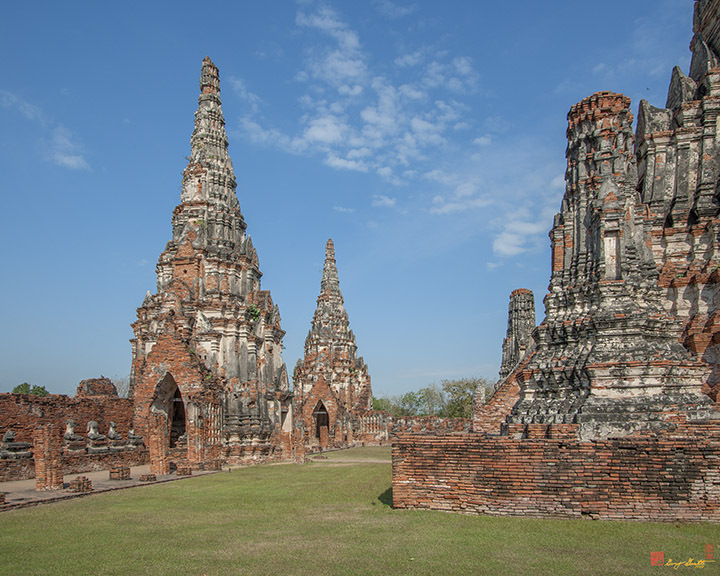 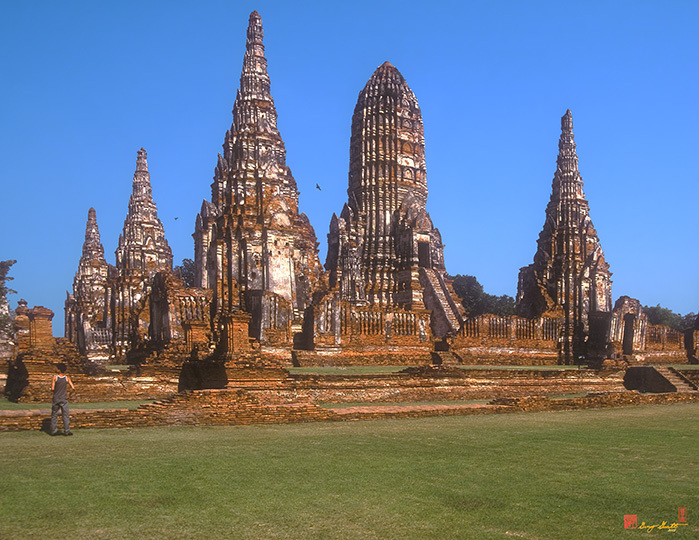 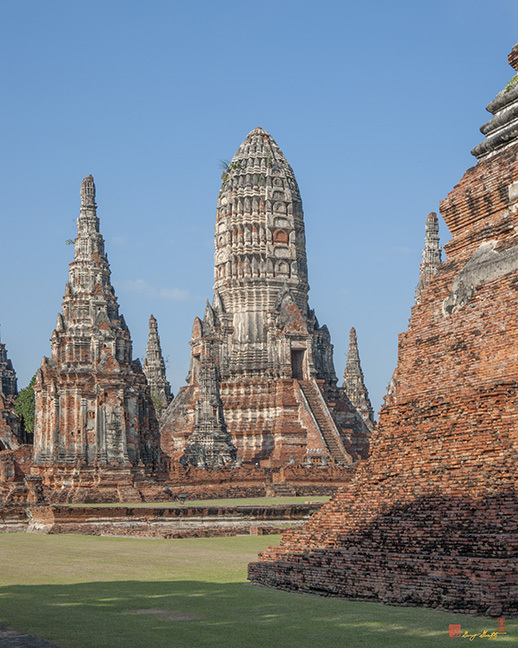 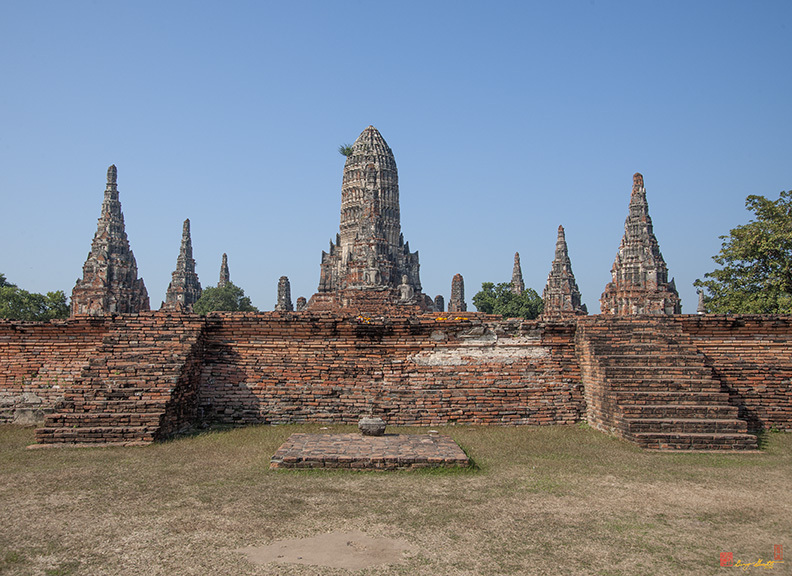 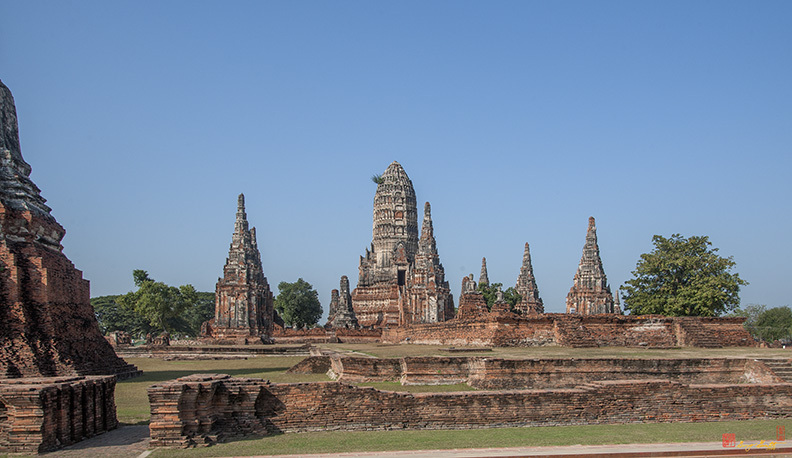 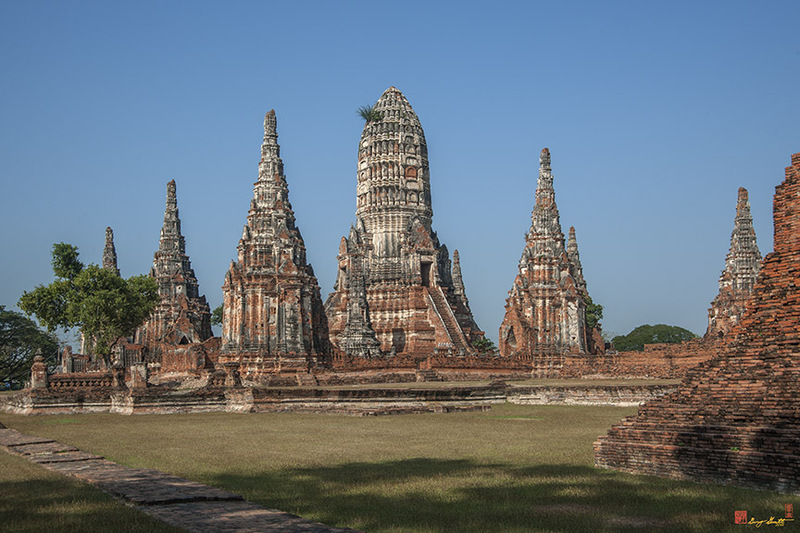 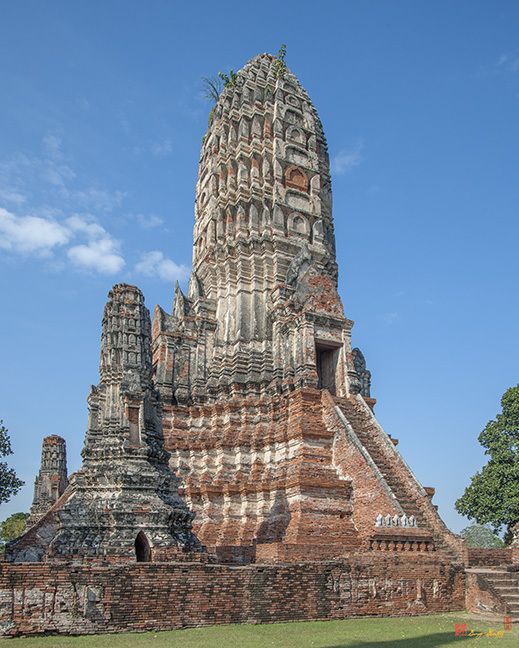 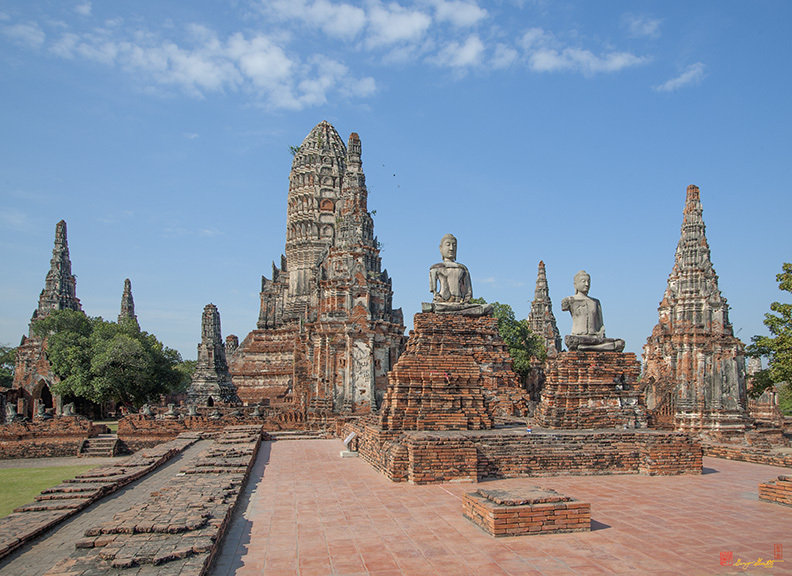 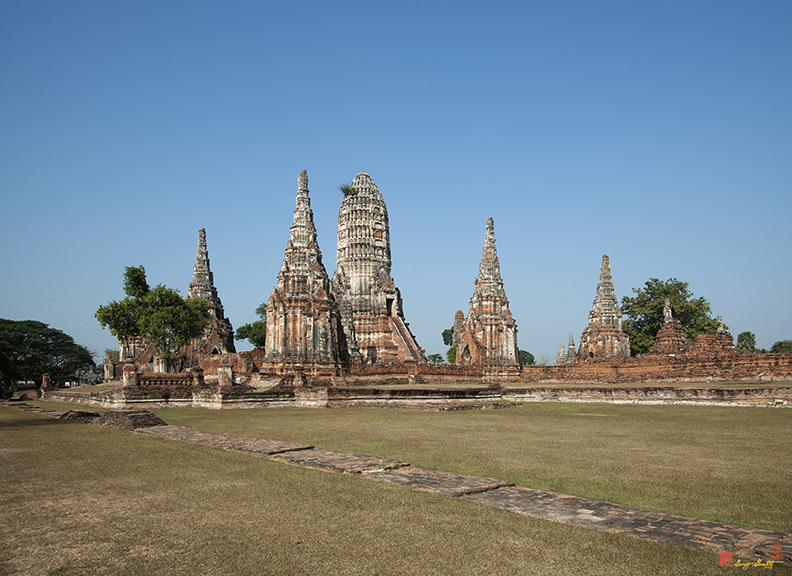 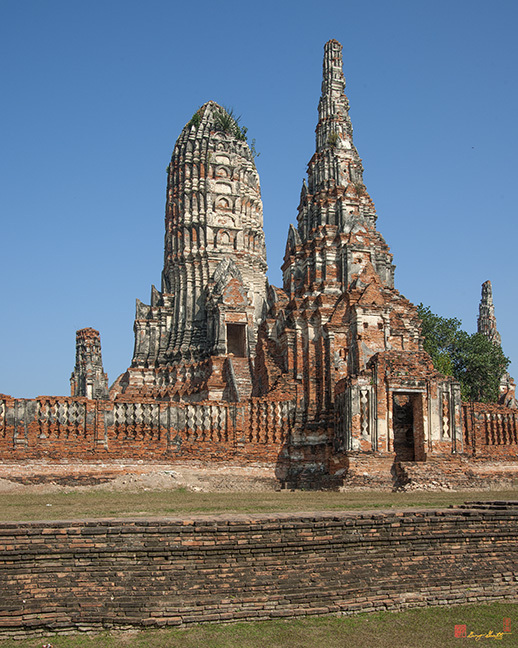 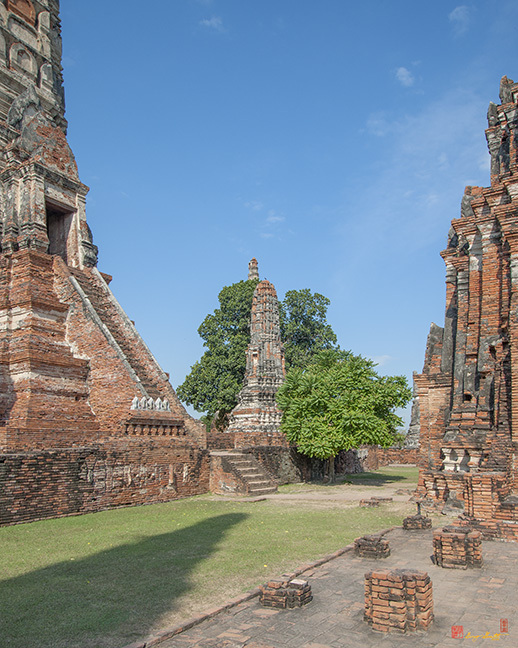 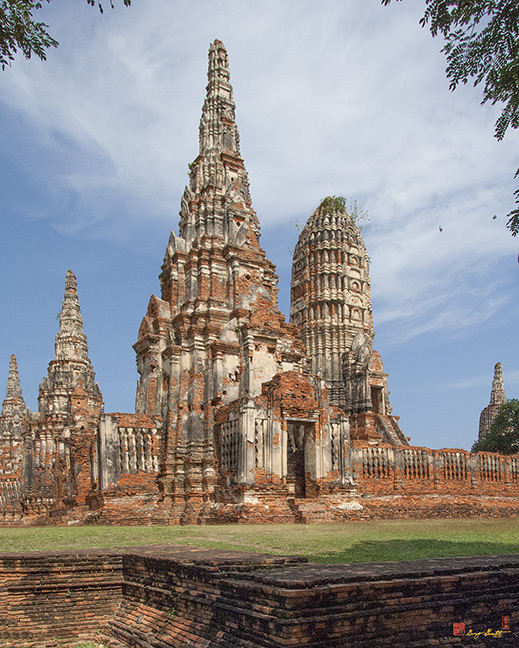 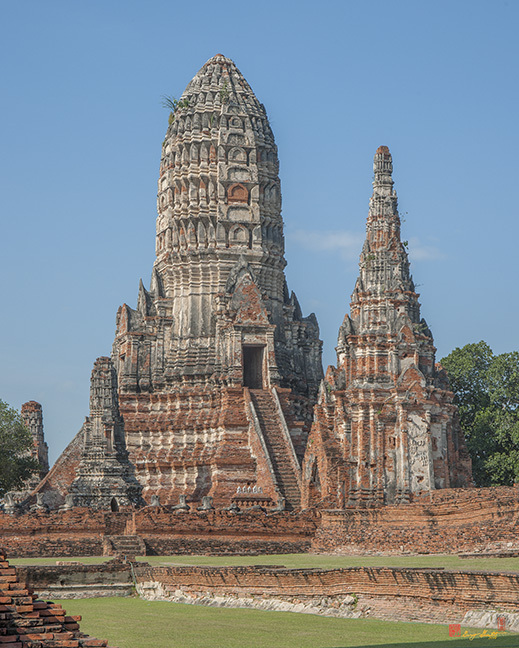 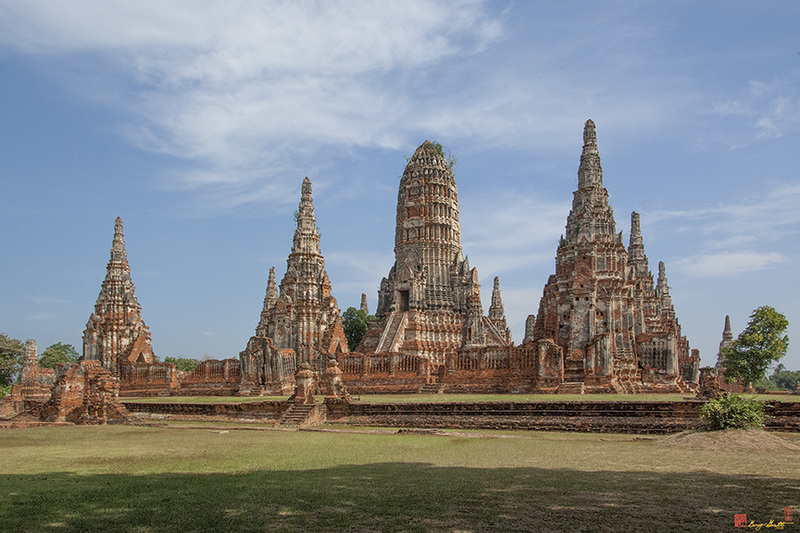 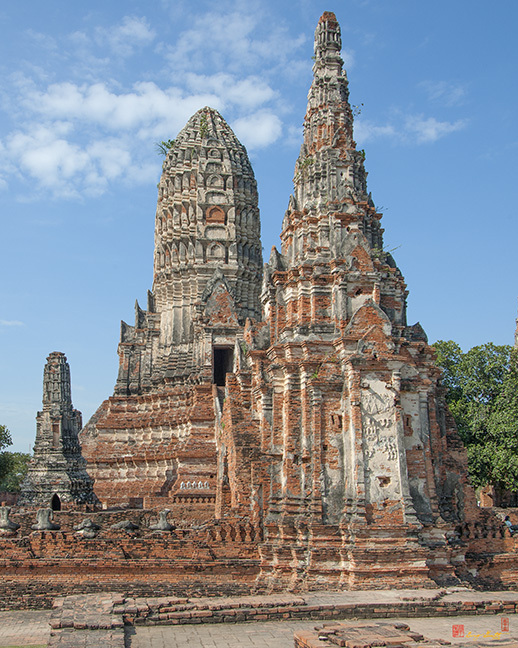 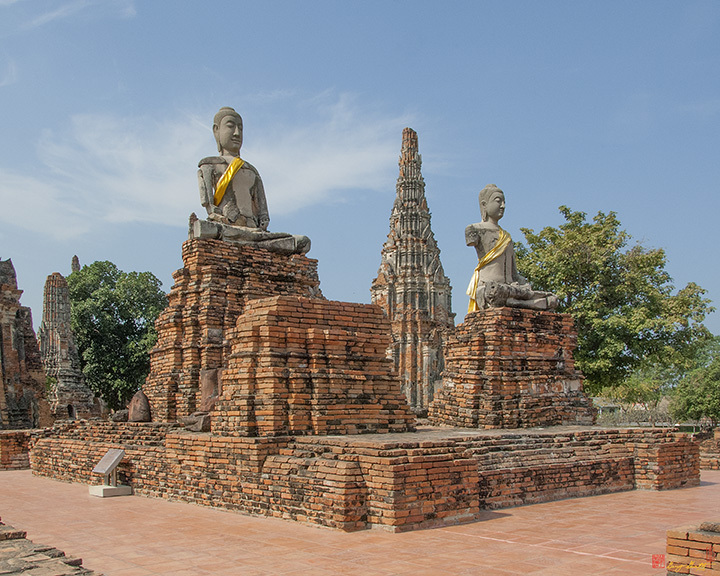 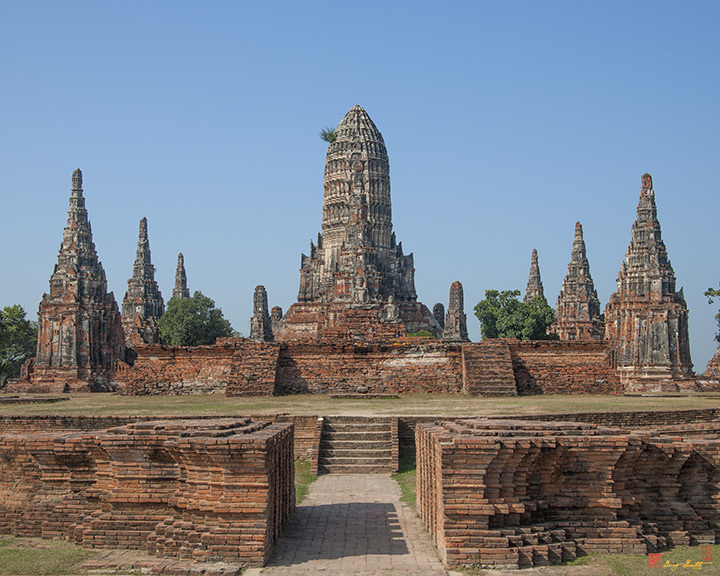 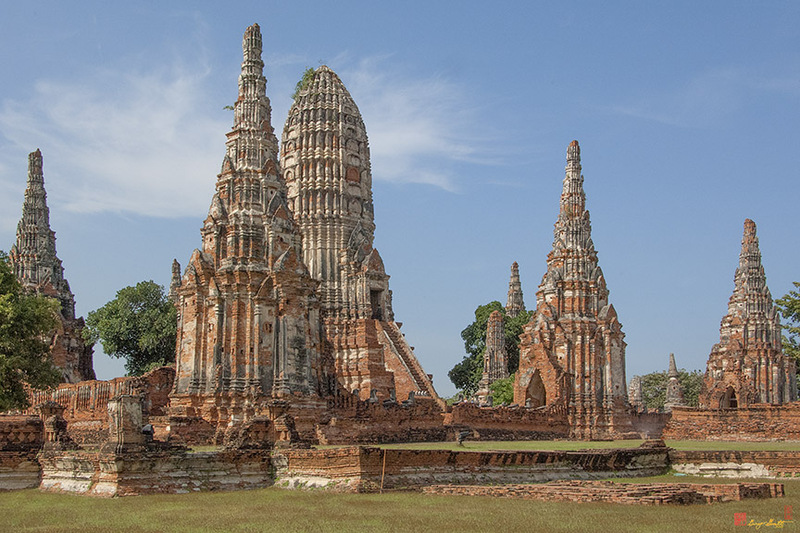 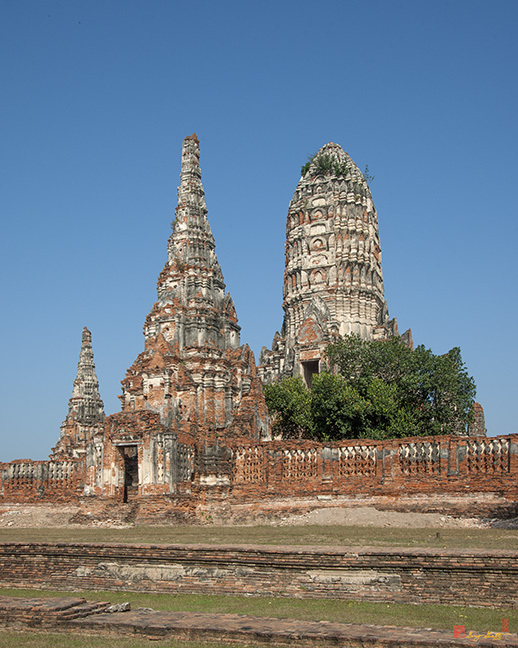 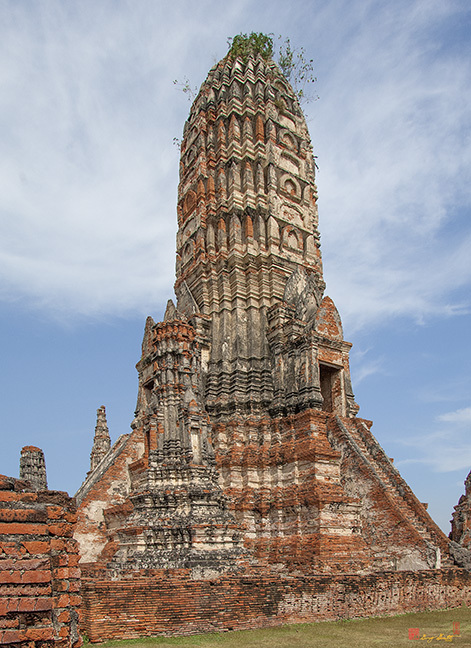 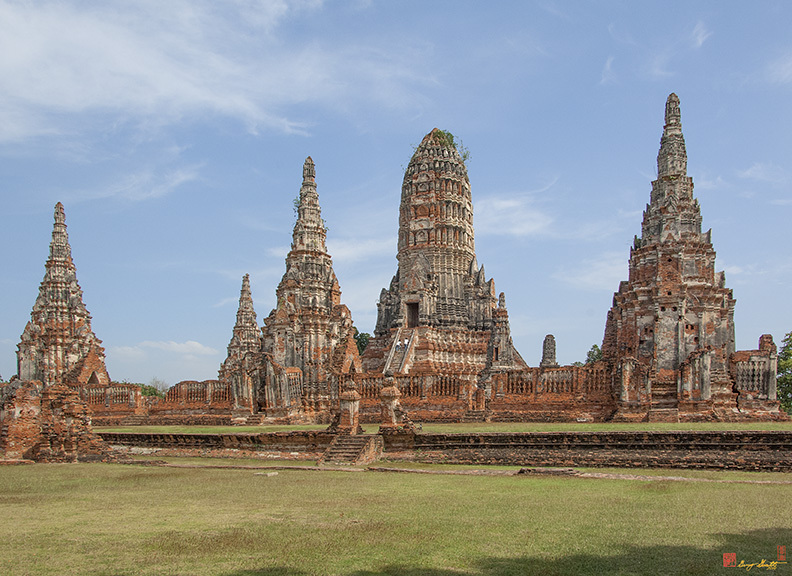 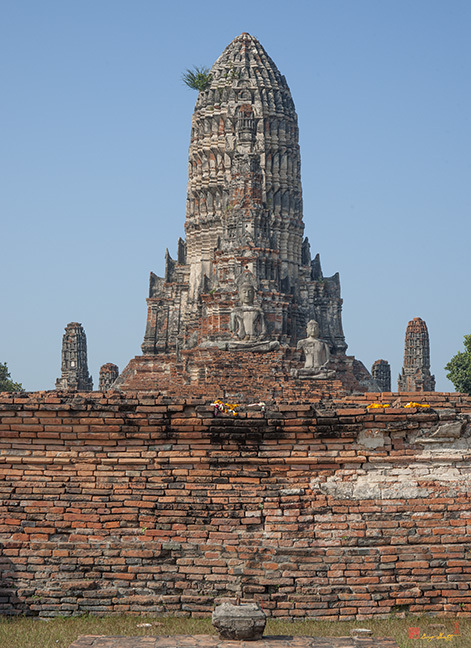 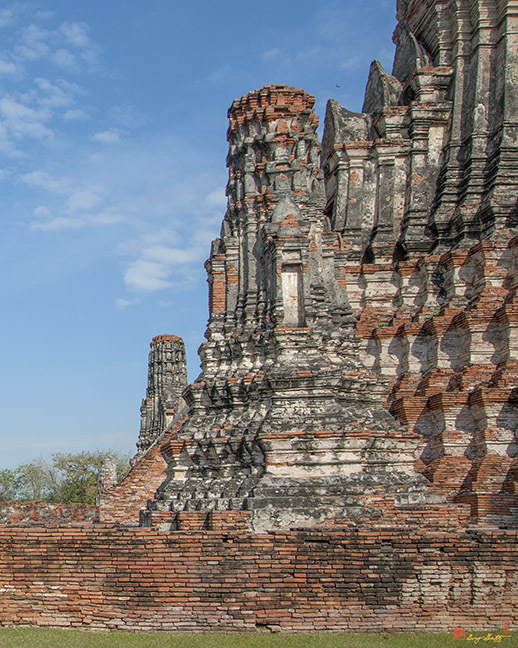 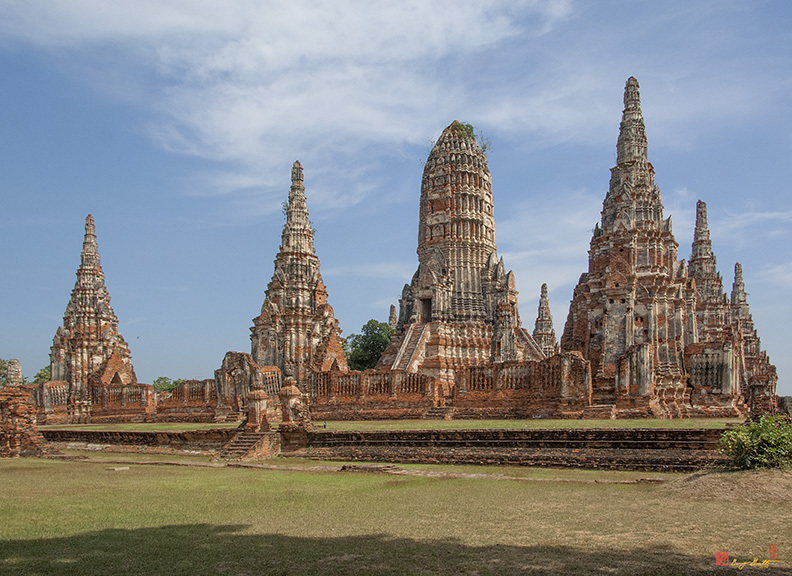 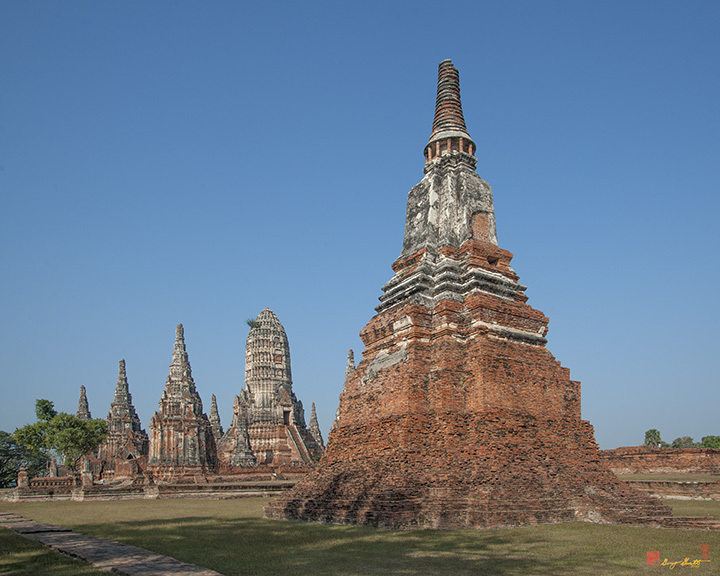 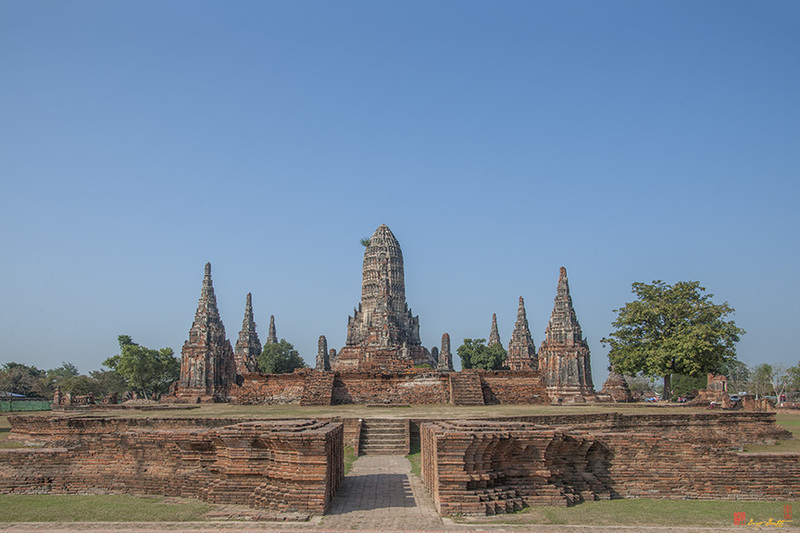 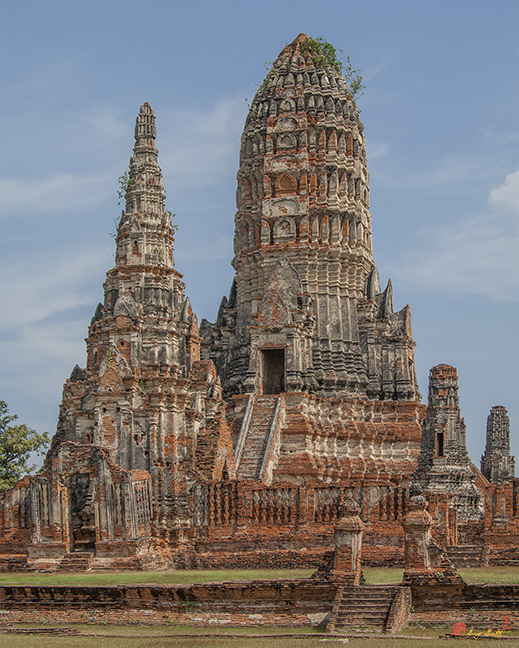 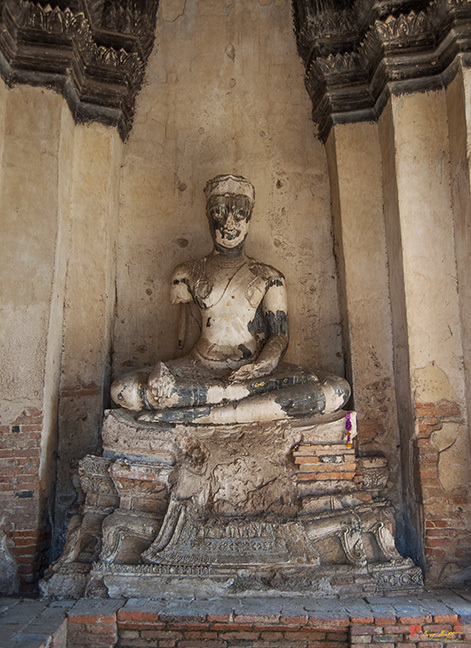 The main prang, standing 35 meters tall, is in the early Ayutthaya style while the four lesser prangs are in the style of King Prasattong. 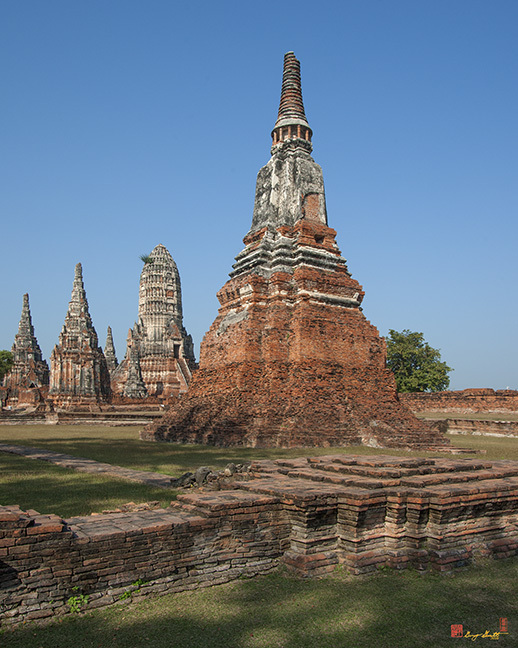 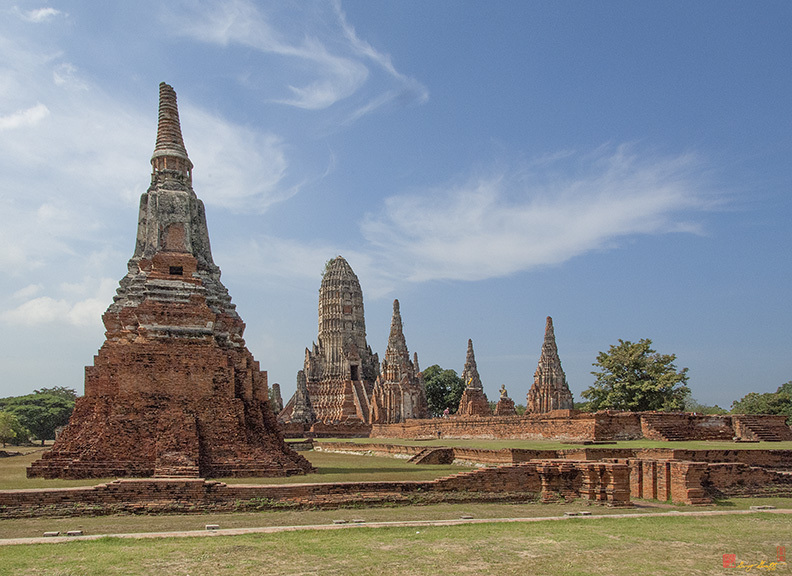 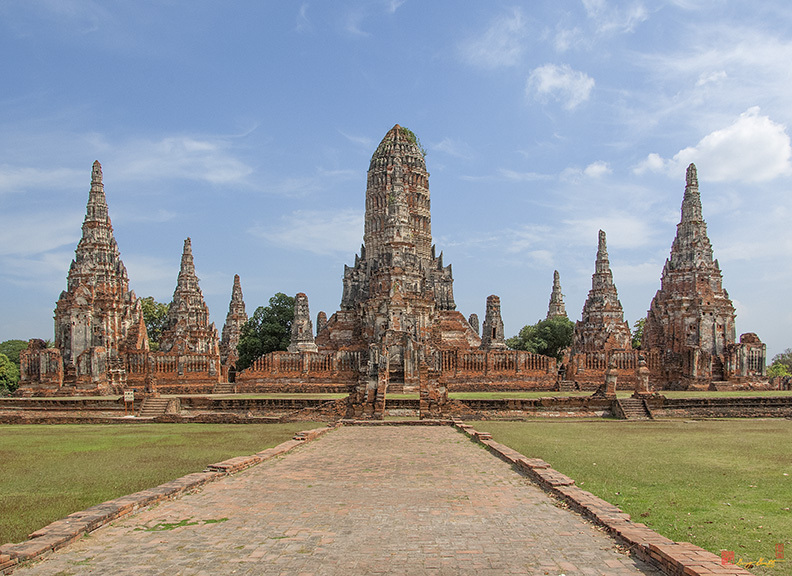 The form of the eight lesser prangs may have been taken from that of a royal cremation tower that represents Mt. 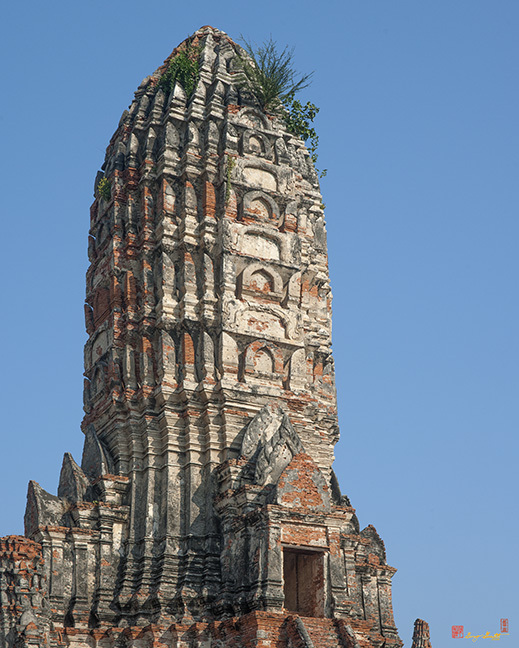 Meru, the center of the universe.